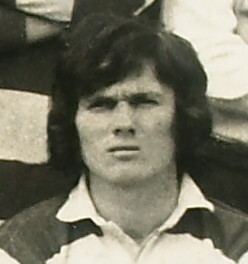 Peter Kingston played 178 games at scrum half for Gloucester from 1974 to 1981 and occasionally until 1985. Speed around the scrum, an accurate service and sound kicking were strong features of his game. He also played for Lydney, St Paul’s College and Moseley before joining Gloucester and late on in his career played briefly for Pontypool. Kingston played representative rugby for England Under-19, British Colleges, North Midlands, Gloucestershire and the South West. He was capped five times by England and played 51 games at county level. Peter Kingston was born in Lydney on July 24, 1951. He was educated at Lydney Grammar School from where he won an England Schools cap. He trained as a teacher at St Paul’s College, Cheltenham, skippering them during his last season, and while there he played for British Colleges. During the college vacations he played for his home town side, Lydney. 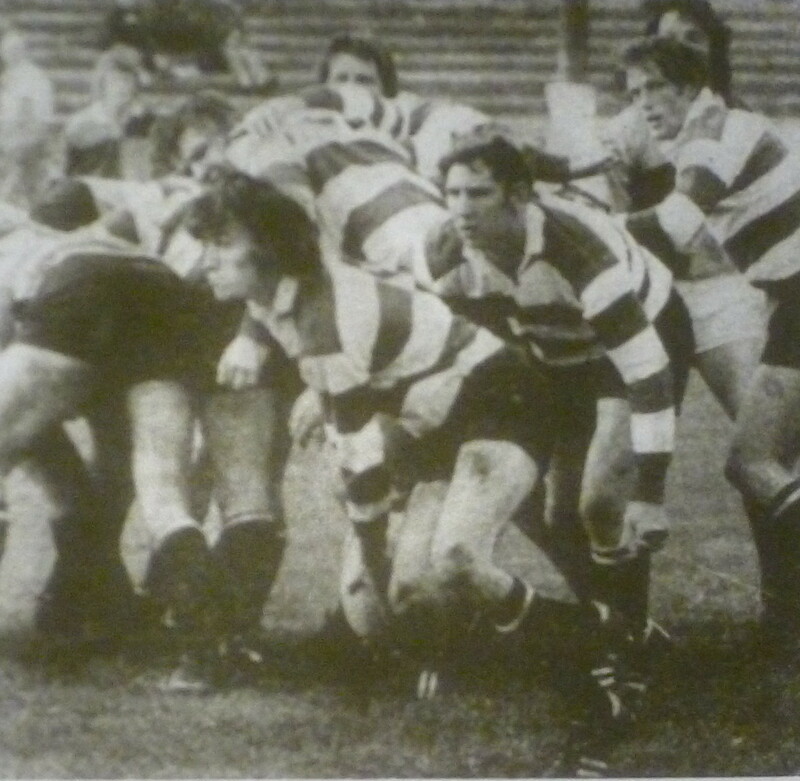 On leaving college to take up a teaching appointment in Birmingham, Peter joined the Moseley club as understudy to the then England scrum half, Jan Webster. He made his debut for North Midlands in October 1972, scoring a fine try in a 21-15 win over Leicestershire. North Midlands went on to reach their first semi-final for 25 years and to take Lancashire to a semi-final replay. In all, Peter Kingston played 13 times for North Midlands in the County Championship. He gained his first England trial on the strength of his County Championship performances, while still playing for Moseley United. Peter took an appointment as physical education and games master at Pates (then Cheltenham Boys’) Grammar School in 1974 and joined the Gloucester club. He made his debut on September 9 in a 75-0 rout of visiting Italian club L’Aquila and made his debut for Gloucestershire against Somerset the following month, the first of 38 appearances. Gloucestershire won the County Championship and Kingston caught the eye of the England selectors. He was selected for the 1975 England tour of Australia and played in both tests. 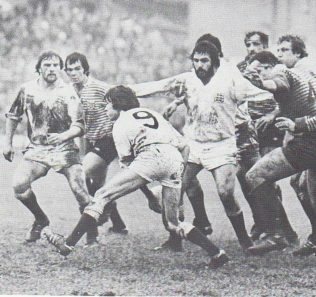 After his debut in Sydney, his second test was the infamous “Battle of Brisbane” in which Mike Burton was the first England player ever to be sent off. 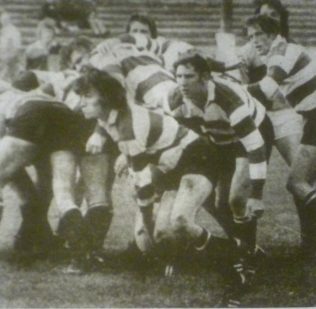 Outside half Chris Williams joined Gloucester from Headingley in 1975 and resumed a partnership with Peter Kingston that had taken them from Lydney Grammar School to England Schools, Lydney, St Paul’s College, Gloucestershire and finally to Gloucester. The partnership flourished for club and county and Peter was again on the winning side in the 1976 County Championship final. He played 41 games for Gloucester. Early in the 1976-77 season the Times described Peter as “playing better than ever for Gloucester and Gloucestershire” and suggested that the Kingston-Williams partnership might be successful at international level. It didn’t happen, although they were picked as travelling reserves for the first trial. Peter Kingston played for Gloucestershire against Japan and throughout the Championship, which ended in defeat by Lancashire in the semi final. After playing for the county at Blackheath in November 1977 in a semi final win over Kent, he missed the final due to influenza. Dogged by illness and injury, he lost his place in the Gloucester side to Paul Howell and missed Gloucester’s great 1978 Cup campaign, although he was a replacement in the final. The following season, however, he was back to form, helping Gloucestershire to the County Championship semi finals and playing for South and South West against the All Blacks. He was chosen to play for the Rest against England in the final trial and after appearing on the bench against Scotland, was then selected for the matches against Ireland, France and Wales in the 1979 Five Nations Championship. In 1979-80 and 1980-81, although playing fewer games for Gloucester, he continued to gain selection for the county and in both 1979-80 and 1980-81 he played on the losing side in County Championship Finals. In 1980-81, his last season of regular rugby, he was in the South and South West squad, played for Gloucestershire against Zimbabwe and played his last county game in the County Championship Final against Northumberland at Kingsholm. 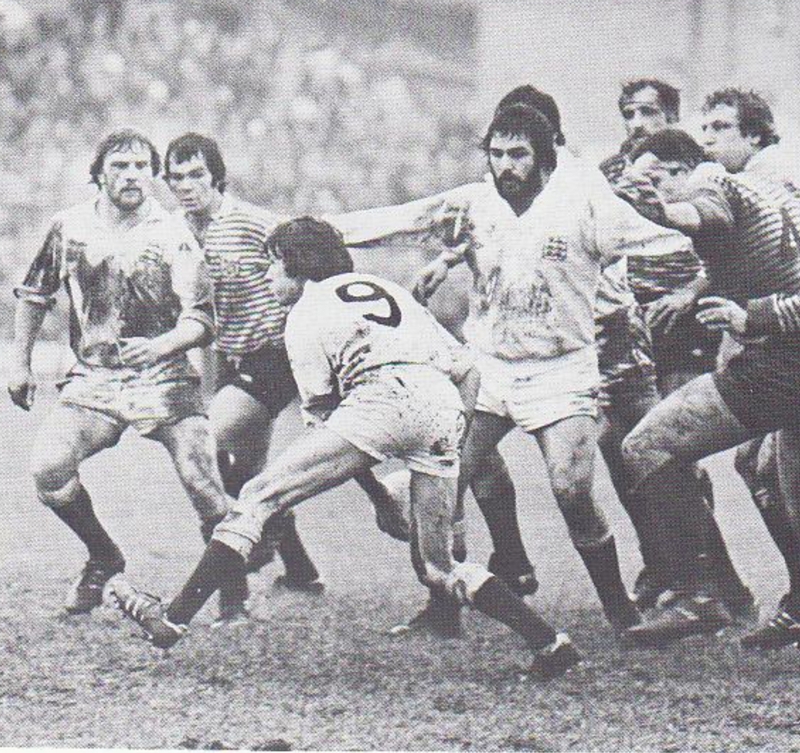 He continued to play for Gloucester United and was again a replacement for Gloucester in the 1982 Cup Final. In 1984 he played several games for Pontypool, helping the Welsh club over an injury crisis, and finally in 1992 at the age of 41 he was a replacement for Gloucester against Sale (in another injury crisis!). After his playing career was over, Peter Kingston continued his association with Gloucester RFC and was at various times Under-21s Coach, 1st XV Backs Coach, United Coach and Academy Coach. He was Hartpury Academy Assistant Coach from 2004-7. Peter coached rugby at Pates Grammar School, and served as England Schools Assistant Coach from 1996-1999 and England 18 Group Head Coach from 1999-2004 (the unbeaten 18 group tour to Australia in 1997 included Wilkinson, Tindall, Balshaw, Borthwick, Sheridan, Mears, Flatman, Sanderson and Danielli). He retired from Pates in 2009 after a 36 year teaching career in sport.